A complete Parent Handbook is given to parents at the time of signing a contract. Please email or call if you have any questions. 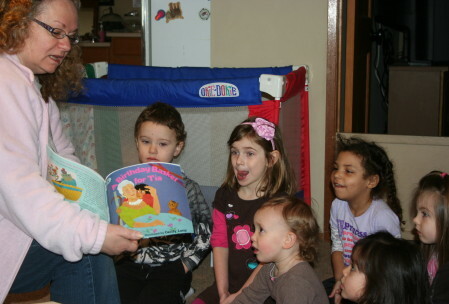 When children listen to a story they are developing listening skills (kindergarten readiness), learning to wait their turn to talk (social) and adding to their vocabulary and print and phonological awareness (reading).